Nvidia’s Pascal range of graphics cards have been rather successful in the eyes of gamer’s, building and refining the much loved Maxwell architecture and optimizing it for extremely high clock speeds and improving the efficiency of the silicone. The results have been startling, and combined with a 16nm FinFet process, we’ve seen the GeForce GTX 1070 and GTX 1080 monopolise the high end desktop graphics segment since their launch in mid 2016. But, as is so often the case in the graphics industry, the story doesn’t end there. 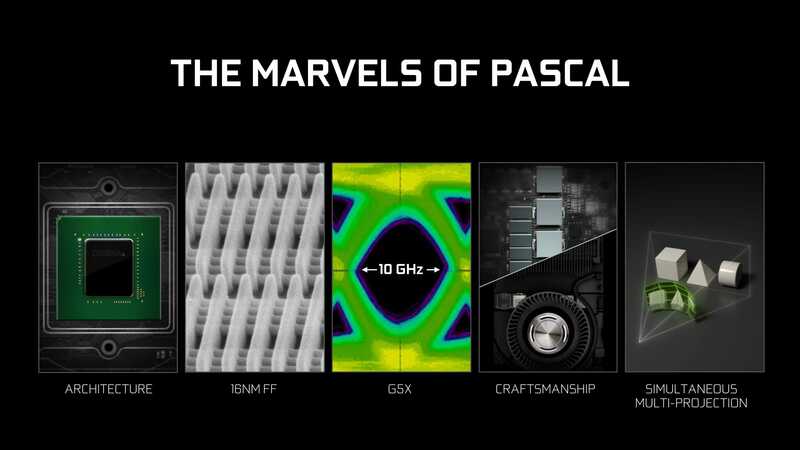 As we’ve just said, Pascal was built on a 16nm FinFet process, and with AMD firmly embracing 14nm for both Polaris, Vega and future CPU’s, Nvidia have jumped into bed with Samsung. Samsung will be able to offer Nvidia a 14nm FinFet Pascal refresh, which should be very similar (in theory) to what Nvidia have done in the past, most recently with the GTX 700 series based on the Kepler architecture. What does a Pascal refresh (let’s assume for the sake of this article it’ll be named GeForce GTX 11 series)? Well quite simply, higher clock speeds. Given a lot of AIB’s were able to squeeze 2Ghz out of the core alone, it’s not too much of a stretch to assume a Samsung powered 14nm Pascal refresh will allow the GeForce GTX 11 series to hit speeds of 2Ghz plus as a standard. 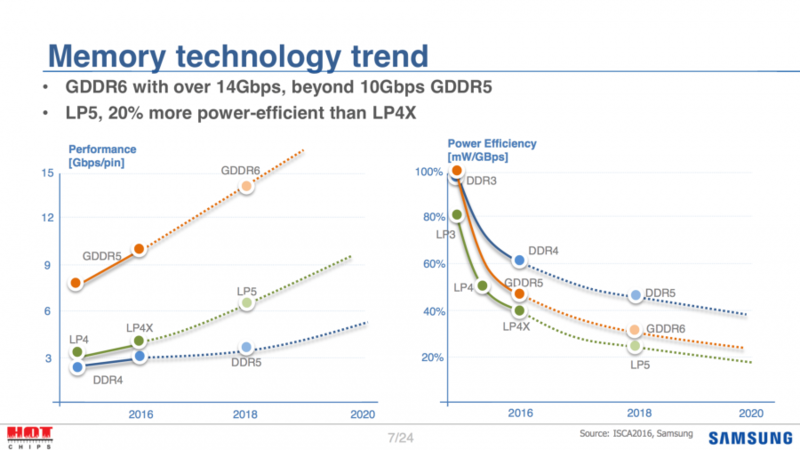 The poorer yields of Nvidia’s 16nm process, combined with the higher costs (and also poor yields) of Micron’s GDDR5X memory which is being used in the GTX 1080, GTX Titan X Pascal has also been a bit of a problem. Therefore we could see GDDR5X memory start trickling down the line of cards, and some rumors tell us that the GTX 1080 Ti will actually be using vanilla, big-standard GDDR5. Nvidia’s refresh decision is likely in no small part to do with Vega 10, Vega 11 and other entries in AMD’s new Radeon lineup. If you’ve not been following along with the YouTube channel, or need a refresher, the rumors have it that AMD’s Vega is going to be a lot more than a simple Polaris with extra CU (Compute Units). Instead, AMD are radically improving the performance, power consumption and efficiency (that word again) of the silicone. So while we’re going to see Vega 10 launch with HBM2 (rumors say in configurations up to 16GB HBM2), AMD are also planning to replace the Polaris 10 and Polaris 11 lineup (AKA the RX 470, RX 480 and finally RX 460) with Vega 11. For more information on Vega 10, 11, 20 and Navi click here. AMD are of course also planning to launch dual card parts, and eventually Navi in 2018 or 19. Given the release window of Vega (all of the cards), it’s pretty safe to assume that the Vega 10 high ends parts won’t be capable of just trading blows with the GTX 1070 and GTX 1080, but possibly beating it outright. And let’s be honest, Nvidia being forced to sit on the sidelines and lose market share to AMD without being able to counter it isn’t going to happen. Because Vega 10 will be seeing a release in the first Quarter of 2017, and Vega 11 will likely hit a little later… we can start seeing the issue. So with the 14nm Pascal refresh, Nvidia can build on the architecture of the cards by cranking up clock speeds, bandwidth and possibly adjusting a few other things inside the silicone to get the most out of the performance to be more competitive with team Red. Overclocking the current Pascal cards has always been a bit dicey, because the boards power limit and GPU Boost makes overclocking manually a lot less ‘fun’ and easy to squeeze the most life out of the cards. In theory, Nvidia could do a better job at allowing AIB’s to tweak this, and therefore we could start seeing some incredible overclocking for folks willing to hammer enough voltage in to the GTX 11 series cores. Finally, we’re left with Volta, which has been pushed back several times now. Originally we were expecting Volta to launch in 2017, but now that’s obviously not the case. So assuming a 2018 launch, we could see HBM3 support, but other rumors tell us that we’ll certainly see Nvidia adopting GDDR6 for Volta. To put that into perspective, GDDR5X (as found in Pascal GTX 10 and the Pascal Refresh GTX 11) gives about 10GB/s of memory bandwidth, where as GDDR6 is touted to hit an eye watering 16 GB/s. If you were just about to buy a GTX 10 series card, and questioning if you should wait – the answer is “it depends” as unfortunately we don’t have a release date for the Pascal refresh. If you already have a pretty good GPU setup, I’d personally wait (especially if you’re planning on a Zen build next year). If you’re currently gaming on a GTX 660 because your old card exploded, then you’re obviously in a different situation entirely. To clarify – this won’t mean that your GeForce GTX 1070 or GTX 1080 suddenly becomes pointless or super old, instead it’s a refinement of clocks and possibly a little tweaking, so (in theory) you might only be losing 10 – 25 percent performance for the same price bracket (assuming no extra SM for the same priced part). Source well known Baidu user / leaker USG Ishimura. This article was filed under Articles, Features, Hardware, PC Gaming News.